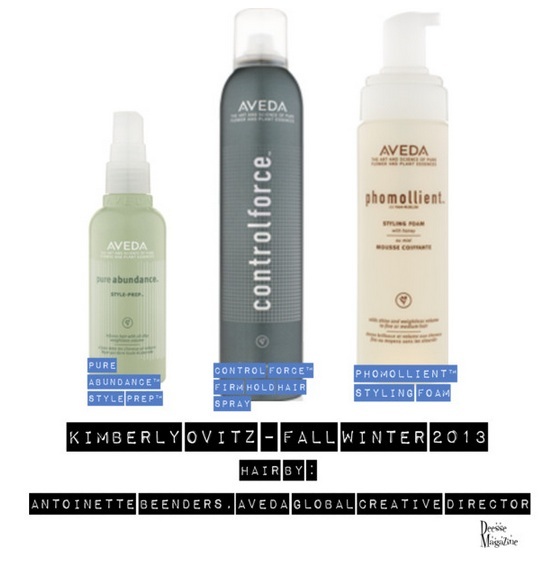 Antoinette Beenders, Aveda Global Creative Director created the look seen at the Kimberly Ovitz Fall/Winter ‘13 show. 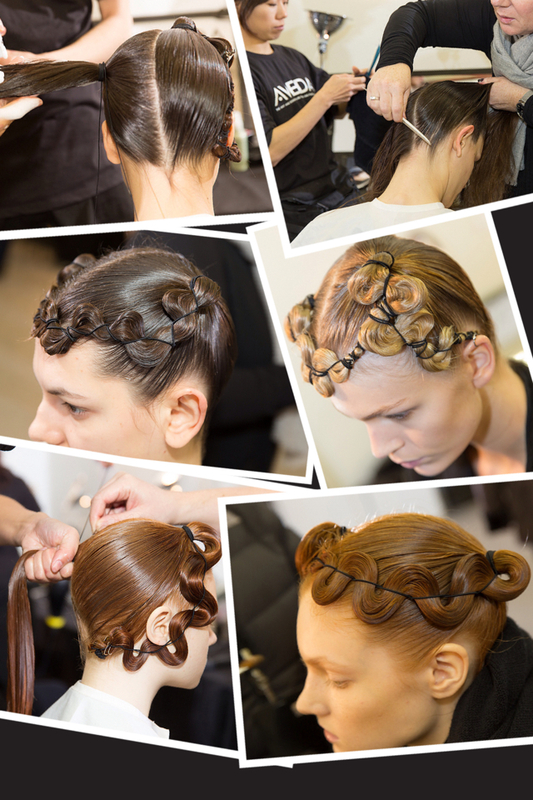 Channeling the mood of collection, Beenders created asymmetric corseted ponytails. “Kimberly’s collection explores the human psyche and innate defenses found in animals and insects,” says Beenders. “I wanted to create a look that complemented the clothes – like a shield of armor or an armadillo’s shell. The texture is smooth, and finish is shiny, but there is a veil of protection. 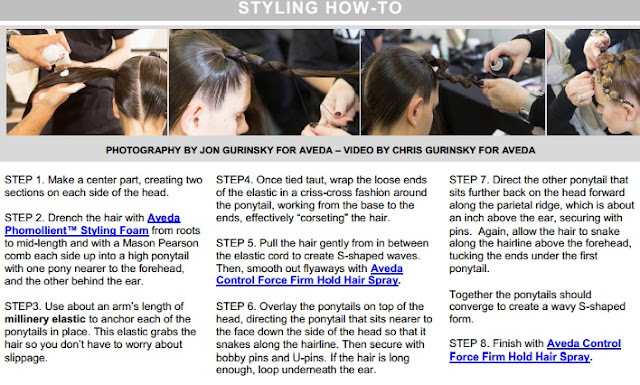 Think of a 1920’s wave in a futuristic interpretation, just touched with danger.” “We used two Aveda essentials – first, Aveda Phomollient™ Styling Foam for shine and hold, and then Aveda Control Force™ Firm Hold Hair Spray to secure the style in place. However, if you’re working with thin hair, add some volume and texture before you begin styling with Aveda Pure Abundance™ Style-Prep™."